We're excited to announce that French onion soup will be debuting on our menu very soon. Janaki has undeniably served me some of the best meals of my life, so when she offered to let me taste her latest dish, of course I said yes! 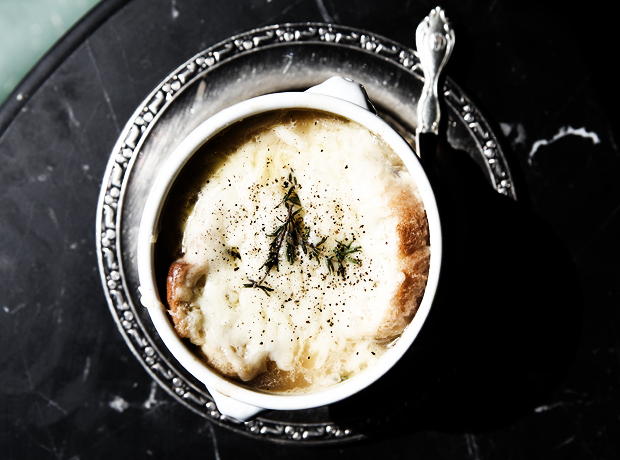 French onion soup is a classic comfort food that perfectly fits our shop. The mouthwatering broth made with organic onions, and topped off with crisp baguette, a touch of fresh thyme, and a generous amount of melted Gruyère, is sure to bring smiles to many faces.